Don’t get me wrong – there are plenty of products in my collection that I love and work for me really well. I have quite a few items that I rely on most days to take the guesswork out of doing my makeup, and I certainly have favorites in my makeup and skin care collections. Shades that I’m crazy about or formulas that thrill me to no end. I now understand the giddiness and feeling of celebration that comes with finding a Holy Grail product. What item has rocked my world in such a profound way? 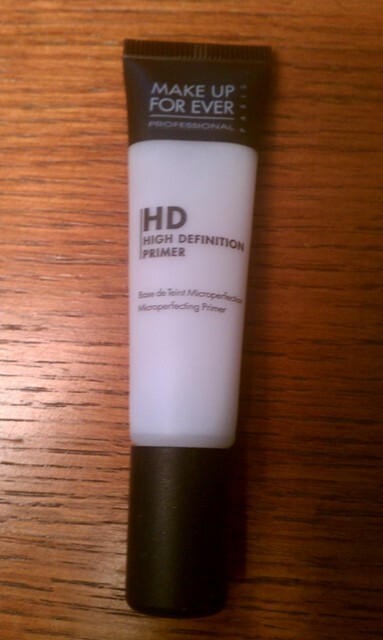 Makeup Forever’s HD Micro Perfecting Primer. Not a new product, I know, but new to me. 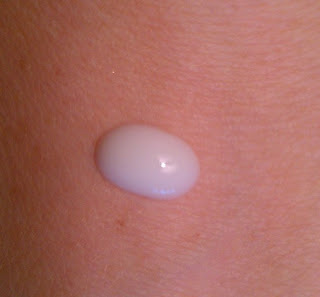 To be honest, I expected it to be just another average primer in a long line of average primers that I’d tried. While most primer that I’ve tried have done a pretty good job of making my foundation go on more smoothly, I never really felt like they affected the look of my finished foundation or helped it last any longer. 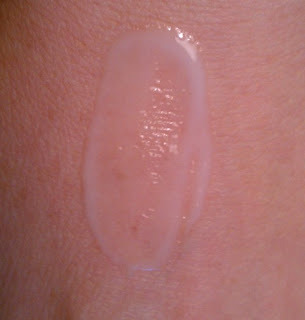 I use Retin-A, so depending on the weather and other factors, my skin can sometimes be super dry and flaky. When my skin is acting up, certain foundations that I love like Tarte’s Amazonian Clay Foundation, MAC’s Matchmaster, and even my Hourglass Veil Foundation can look cakey and uneven in spots. No primer has ever been able to help with that. Until the Makeup Forever HD Primer. I bought the small 15 ml. size from Sephora for $15 since I didn’t want to spend too much in case I didn’t like it. That was about a month ago. I’ve used it everyday that I’ve worn foundation since then – with a bunch of different foundations. Every time, the results have been the same. My foundation looks smooth, even, and flawless no matter how dry or rough my skin is. It’s been amazing – I can use all those foundations that I love even when my skin is giving me trouble. It’s like a miracle. The colorless version of the primer is supposed to give the skin a subtle glow - I can’t really speak to that since the foundations that I tend to use have a semi-matte or dewy finish anyway, but it definitely hydrates the skin, fills in pores and smoothes any rough patches. It has a lighter, more liquid-y consistency than other silicone-based primers like the Smashbox Photo Finish, and I think that agrees with my skin better. I will be buying a full size bottle as soon as I use up my little tube. Now, I know that Holy Grail products are very much a ‘your mileage may vary’ kind of thing, so I’m not stating unequivocally that this primer will work wonders for everyone. But I think the $15 size is worth trying if you have trouble with dry, flaky or rough skin or you’re looking for a good, basic primer that has a lighter consistency. Finding my very first Holy Grail product has taught me something, though – if you’re a makeup or skincare junkie, as I unashamedly am, having a Holy Grail item doesn’t mean that you’ll stop trying all other products. Your curiosity still gets the better of you and you keep looking out there … just in case. As we speak, there’s a deluxe sample size of the Laura Mercier Foundation Primer- Radiance sitting in my makeup bag, all ready for me to test out. ** PS – It’s a gray, dreary day here in NY, and I’m not feeling that well, but wouldn’t you know it, the UPS just showed up with the upcoming Tarte TSV (it will appear on QVC on March 16th, I believe) to brighten my day. I’ll post pictures and swatches tomorrow in case you’re interested and want to check it out. It’s a good one!